Reptile Forums UK - This knob tail gecko poses for an excellent full body photo showing off how handsome the species really is. Reptile Forums UK - A tiny knob tail gecko takes some great pictures. YouTube - An interesting video from a few years back captures the mating process of a handsome pair of banded knob-tail geckos. 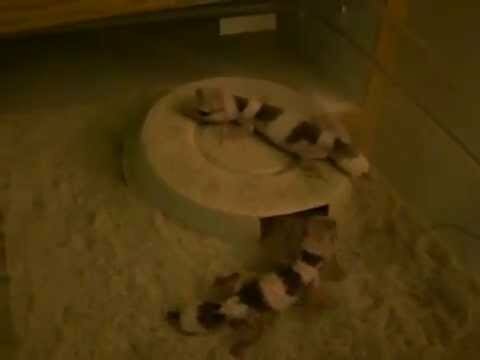 YouTube - Some neat throwback footage shows a male knob-tail gecko pursuing (and then rejected by) a pretty female. Bush League Breeders Club - Gecko Babies shows off their newest rack for knob-tailed geckos, along with a few adorable inhabitants.